Almost 2.22 million votes were cast by fans in the All Football Players of the Year 2017 poll, with Cristiano Ronaldo receiving over 1.3 million votes worldwide. 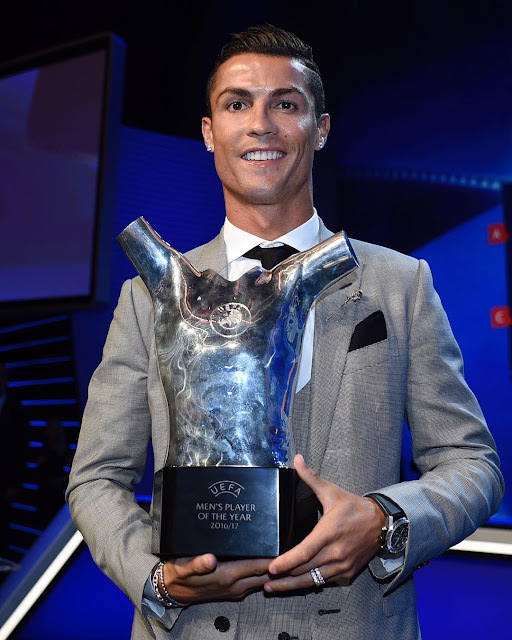 The Portugal superstar is up against rival Barcelona forward Lionel Messi and Paris Saint-Germain’s Neymar for the award he won last year. Cristiano Ronaldo netted 25 times in La Liga last term and added 12 goals in the Champions League, including a brace in the final against Juventus. It’s the second straight year Ronaldo has won the award presented by All Football, as he was also named the Best FIFA Men’s Player and Ballon d’Or winner two years in a row. The 32-year-old has collected 5 major important titles, with La Liga, Spanish Supercup, Champions League, European Supercup, Club World Cup included.